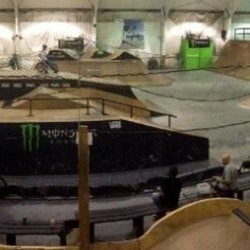 Indoor, wooden skatepark for your enjoyment. BMX friendly too. Thanks to Visionary Brand for this submission. 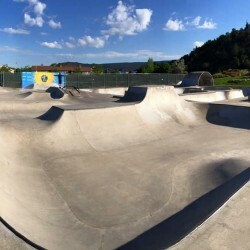 Also known as Gas Works Skatepark. 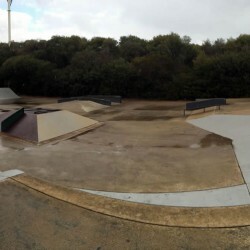 Good addition to what was a less than average skatepark. Has all the usual features you would expect, couple of funboxes, some good ledges and quarterpipes thrown in for good measure. 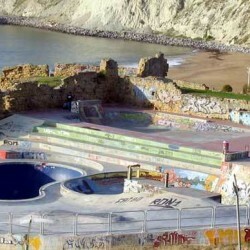 Pretty much your dream miniramp built as a concrete skatepark. The spine and bowl to bowl transfers are where it’s at here. 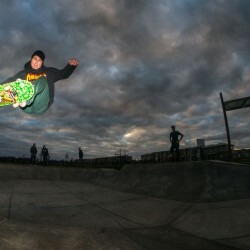 The Greymouth skatepark has had a huge update with a new bowl that just rips. Get there and skate it. Directions Corner of Johnstone St and Boundry St.
Part skatepark, part artwork, this waterfront skate plaza has tons of ledges, rails, stairs, banks and other street features. Multiple options for every level of skateboarder. Water fountain, ipod docks with built in speakers and lights. 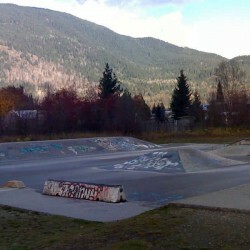 Open skatepark with some fun features including a miniramp.